Now Android users that happen to be Mario fans can 'play with one hand', as Nintendo likes to say with regards to Super Mario Run - just make sure you get hold of a hamburger before you start playing. Previously announced for 23rd March - which it is at the time of writing in territories like Japan and Australia - it's gone live a little a little early in countries like the US and UK, too. The initial download is free, and you get to try out the first few levels and various aspects including Toad Rally before feeling to push to buy it for £9.99 / $9.99 USD. As previously announced this Android release is a later iteration, so a fresh update which adds some different content and rebalances aspects of the game should also be rolling out now on iOS. So, how many of you Android users are trying this out? The iOS version just updated, and added Yoshi recolors as new characters. They allow you to get certain colors of Toads quicker in Toad Rally. I'm sure we will get gold luigi and gold yoshi to follow. I will dl it for now, and I will pay the $10 when I get the chance. So Hyped! Loving this! Taking a Zelda break! They said they are making more soon for they end of March but you never know with Nintendo. Super mario run is way too dumbed down, enemies don't even hurt you, you just automatically jump over them, what's the point? @saturn_hero The game is way more challenging than at first glance. Just watch black coin run gameplay videos! Although don't think about buying the game just yet, I believe they updated it to be non-transferable between phones. If you'd upgraded to another iPhone I'm pretty sure you would have been able to download again for free but not on an android phone as it's a completely different account system. @Marios-love-child What happens if I transferred my progress to Android (which I was able to do)? It looks like I kept my progress, though it wants me to buy the game again....which I won't be doing. Already 100% completed Tour mode. @saturn_hero "Enemies don't even hurt you." Yeah, I can vault over anything, even Spinie- OUCH! You can't vault over like half the enemies in the game. And another good portion of it often attacks you in a downwards angle. It's £9.99? Wasn't it £7.99 for a bit on iOS at first? Shouldn't Android users get the same discount, especially with us being the higher demographic too? @twadezelda3dsxl The price was adjusted universally since initial launch to account for the £. @Furealz Don't think about buying it due to something that'll effect basically nobody who hasn't gotten the game already? Okay. @twadezelda3dsxl It changed on the App Store too, due to the Brexit and the falling economy of the UK. Don't really care about this game and I'm an Android user. And UK buyers can look forward to paying £2 more for it. Maybe I'll try out the first few levels but I know I won't like it. I rather play traditional Mario games. I'm in! Take my money Nintendo! Just downloaded it, Ive been waiting for this alright gotta go play it . Enjoy it folks, it's a lot of fun! @SLIGEACH_EIRE When you say you know you won't like it I believe you. First 3 levels were okay, but nothing spectacular. I'll play some more later. Not sure whether or not I'll buy the full game. I don't do much mobile gaming, and I have about $5 saved up from doing Google surveys, so me paying $5 for this sounds reasonable. Out of the question. If you bought and completed on iOS, you're going to need to completely start over on Android, right down to the initial purchase. People should really be more specific when they say "transferrable". Well, hey! At least now you'll be able to play Super Mario Run on whatever device you ever use. So, you'll always be able to play Mario when you're out and about. Always. Does that feel a little better? I was really into this game for the first couple months, but after getting all black coins and getting to about 5000 toads, toad rally just couldn't keep my interest. Already have it on my iPad. If I'm required to buy it separately for my Android phone, I won't. So what are "Bowser's challenges"? Can't find them at all in the game. Can someone who hasn't yet payed try 1-4 and see what pops up? Also holy crap I wish I played a lot more during the recent coin event, I'm gonna need a ton of cash. @saturn_hero The point is points - you have to score them by playing the game well. If you just lazily bumble through - you won't get many points. The game is exquisitely crafted. It doesn't have to play like NSMB2 because you got that game on 3ds already. . . This game is for playing with one hand and very simple controls with gameplay designed to work with that ultra simple control style. @SLIGEACH_EIRE Blame David Cameron for the extra £2. . . I think this game is great! I'm loving it! I'm not interested in checking into a virtual toll booth that tracks me while playing a Mario game, thanks. 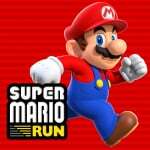 Does anyone really still play Mario Run? meh. i'm not paying $15 aud for a mobile game. i've played it on ios and it gets boring after doing toad rally on the same maps 100000 times. Is there any way to get it to work in BlueStacks? I downloaded the demo and gave it a spin. I think I'll save my ten bucks and put it toward the Zelda DLC. @TwentyOneGamers 100000 times is a lot of play value for AU $15. @SLIGEACH_EIRE Eh, the two pounds more is just politics. Sorry. I'm sure The Donald will screw up soon enough and prices will go up for US gamers as well. I might get this when I'm done with Zelda. Which I'm just stalling on being done so that might be sooner rather than later, actually. Friggin' stealth missions. If I had enough Google rewards credit I would certainly get this...but as it stands I'm not too interested. @MadAdam81 I actually haven't spent any money on this game... Yet. I'll probably pick this one up eventually. Game is good, getting green cois needs mastering the controls and timings. Downloaded right away, let's show Nintendo they should have had a dual launch to begin with! The loading times were somewhat lengthy, but it was decent. Alot of people complain about mario being a runner game.............And I ask why no one saw that coming? Considering its like a Super Mario Maker with just the jump controls(Being as I heard their is a level editor) Than this should have been expected. @PigmaskFan You have to spoof a connection with the most up to date version of Google Play Services. Otherwise, the game won't even load after being installed. So you will need to use a dummy Gmail account. "... before feeling to push to buy it ..."
Are you sure this makes sense, Thomas? It's a fun game, but it was chugging too heavily on my iPad2, so I'm not going to play it in its entirety until it comes out on an actual Nintendo device. @chardir I think that quote right there is pretty much the summary of all Switch marketing and the entire mobile strategy in a nutshell. Nice job! I liked this game a lot... for a mobile game. It's definitely high quality and probably the best mobile game I've ever played. Basically this game is all about the coin challenges. Stages are fun to go through the first time but the replayability really comes from the pink, purple and black coin runs. Toad Rally is actually really fun too. Usually I'm not that big on competitive stuff but because you're competing against ghost data of other peoples runs and since it's pretty good grouping you with people of your own skill level I found myself always wanting to play "just one more time"
I've gotten it running but have continued problems with error 801-5100.